The Festival of Arts Foundation is pleased to announce that applications are now available for 2016 Art Grants. Nonprofit organizations that have programs that promote fine arts in and about the City of Laguna Beach may apply. Submission deadline is February 12, 2016. Grant applications are available online or may be picked up at the Festival of Arts administration office located at 650 Laguna Canyon Road, Laguna Beach, CA 92651. For more information on the grant application process, please contact Scott Moore at (949) 494-9680. In 1989, the Festival of Arts with a $1.5 million donation established the Laguna Beach Festival of Arts Foundation, a California nonprofit public benefit corporation, in order to guarantee annual financial support for the arts in Laguna Beach. The Foundation, co-founded by John Rayment and David Young, was designed to hold these funds in a permanent endowment. 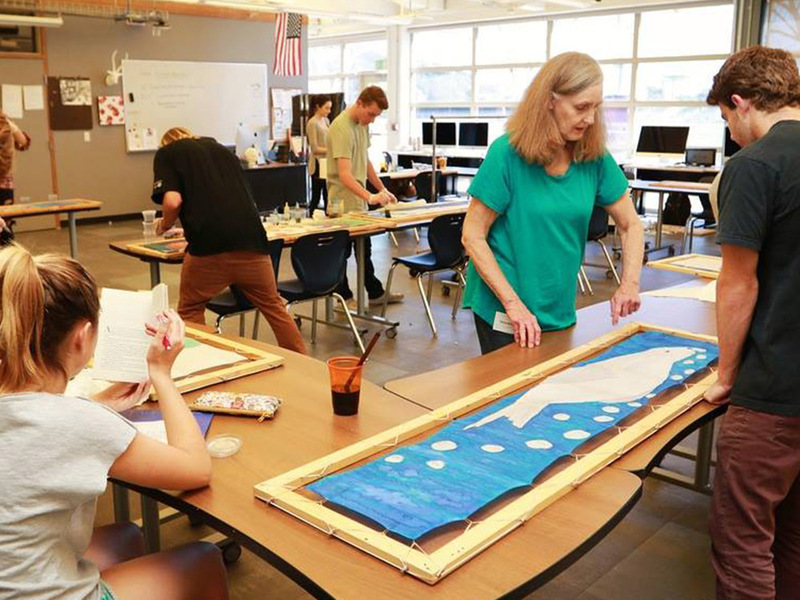 The earnings and income from this endowment would be distributed annually in the form of scholarships to graduates of Laguna Beach High School and as grants to nonprofit art organizations and educational institutions in and about the city of Laguna Beach. The Foundation operates independently from the Festival of Arts. In 2007, the Festival of Arts assumed the financial responsibility of the art scholarships, enabling The Foundation to focus on its grant program for local non-profit art organizations. The Festival of Arts Foundation is comprised of a five-member board of trustees who oversees and administers the program including Scott Moore (president), John Campbell (vice president) Bob Earl (treasurer), Jacquie Moffett (secretary), and John Rayment (board member).